With the majority of the world's population now living in cities, questions about the cultural and political trajectories of urban societies are increasingly urgent. Media and the City explores the global city as the site where these questions become most prominent. As a space of intense communication and difference, the global city forces us to think about the challenges of living in close proximity to each other. Do we really see, hear and understand our neighbours? This engaging book examines the contradictory realities of cosmopolitanization as these emerge in four interfaces: consumption, identity, community and action. Each interface is analysed through a set of juxtapositions to reveal the global city as a site of antagonisms, empathies and co-existing particularities. Timely, interdisciplinary and multi-perspectival, Media and the City will be essential reading for students and scholars in media and communications, cultural studies and sociology, and of interest to those concerned with the growing role of the media in changing urban societies. Myria Georgiou is Director of Graduate Studies in the Department of Media and Communications at the London School of Economics and Political Science. She has also worked as a journalist for BBC World Service, Greek press, and the Cyprus Broadcasting Corporation. "This elaborate and elegantly written volume connects ideas of cosmopolitanism, urbanity and the media. Crucially, this volume not only provides a compelling summary of existing debates but also offers a novel and exciting approach to these issues. The book will provide an important reference point for anyone seeking to understand some of the central debates of the twenty-first century." "An impressive contribution to understanding the cultural dynamism of London as a global, cosmopolitan city and London’s position among global cities more generally. Georgiou delves expertly beneath official hype to the street level where diverse creative worlds are shaped by different media, especially in the divisions and cultural encounters of the East End." "Cities are competitive projects of creativity and power. More than half of the human species live in them, and more want to. 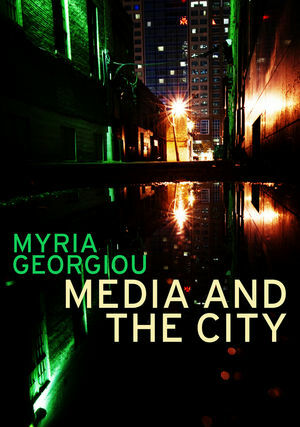 Myria Georgiou's fascinating new vision of the mediated and cosmopolitan city explores humanity’s biggest project yet by investigating its role in consumption, identity, community and civic action."